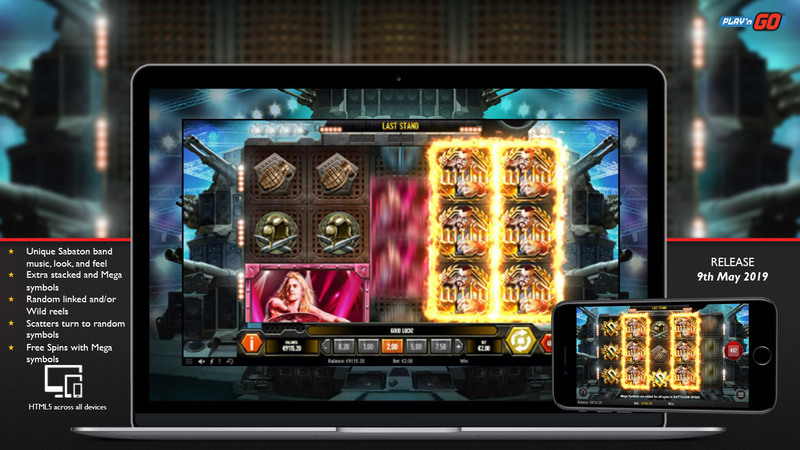 Sabaton (Play’n GO) – Rock away, win big today! Sabaton is one of Sweden’s greatest sources of pride. They’re a hard rock band that has really succeeded worldwide, and most people who listen to hard rock has heard some of their songs. Play’n GO has now chosen to make a slot based on the band, and this is something that we’re really looking forward to trying out. The slot will have 5 reels with 3 rows and 20 different pay lines. 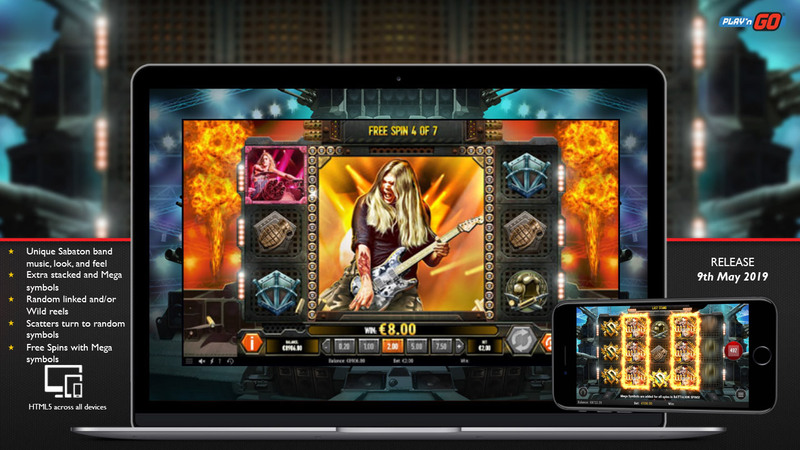 Sabaton will contain many fun features such as Free Spins and Wild Reels as well as Extra Stacked and Mega Symbols. The slot’s theme is based on the hard rock band Sabaton, and they’ve done a really good job capturing a unique feel and look that accurately reflects Sabaton and their career up to this point. On the wheels, we find the different band members as they rock the stage, and we also have lower paying symbols that consist of different weapons. The choice of symbols fits perfectly, as war is a recurring theme that Sabaton uses in many of their songs. The slot does not seem to contain any Wild symbols, but instead a lot of random triggers that can occur at any point in the base game. 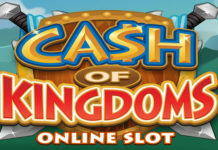 Last but not least, we have the gigantic Scatter on wheel 1-3, this is used to activate the game’s Free Spins Feature. If you manage to hit the gigantic Scatter on the first three wheels, you’ll move on to the Sabaton Free Spins where you get 7 Free Spins. 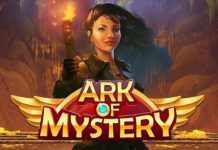 During your Free Spins you have a gigantic symbol that covers the middle three reels, and two normal reels on the sides. Your goal of the bonus is to match the gigantic symbol with your normal symbols on the sides. The dream scenario would be getting Wilds here, as it’s much easier to win that way. It’s still unclear if the function will be able to be reactivated, but that’s something we’ll just have to see once the slot has been released. Sabaton is a band that most hard rock fans know about, or have heard at some point. It’s also one of the few bands from Sweden that really made it worldwide. 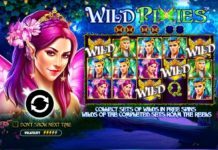 Play’n GO has done a great job creating a slot that reflects their career, and inside the slot, we find tons of exciting features that we just can’t wait to try out. Sabaton has that classic feel to it that Play’n GO is known for, and the potential is there for massive winnings if you’re lucky. We can’t wait to try it out once it’s released. Right now the release date is set to the 9th of May 2019. You’ll be able to try it first on Leo Vegas and Rizk Casino.